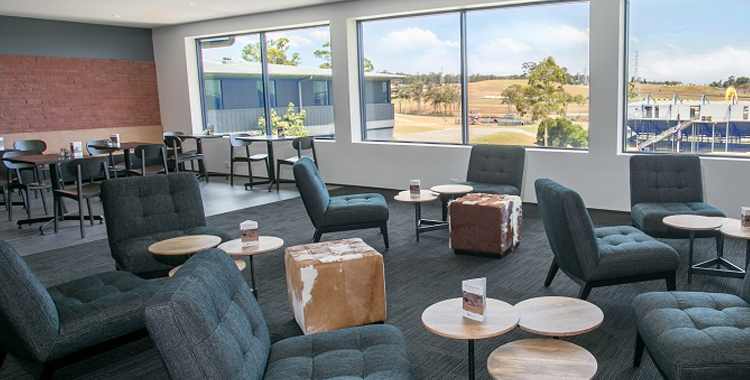 Greater Western Sydney’s hotel market has received a significant boost, as Alpha Eastern Creek launches its brand new Club Level with an additional 60 new rooms, and an intimate Club Lounge. The $7 million project which commenced in 2016, saw the new superior rooms and Club Lounge added to the top floor of the existing premise over-looking Sydney Motorsport Park, increasing the hotel’s inventory to 164. “The new Club Level and overall hotel transformation, will distinguish Alpha Eastern Creek as the World-class hotel provider in the heart of Sydney’s growth corridor – an area fuelled by major economic activity through the Western Sydney Airport development and road projects that will create the connection to the airport,” he added. The Club Level accommodation features contemporary interiors, luxury king-sized beds, Smart TV, unlimited free Wi-Fi, chic bathroom amenities, and in-room dining. The spacious 40 sqm Club Suites offer a free-flowing living and dining area, a kitchenette and views over the Blue Mountains or Sydney Motorsport Park. Club Lounge access and privileges are complimentary for guests when booking Club rooms or suites with a range of benefits such as light express breakfast, refreshments during the day, Sundown snacks with a complimentary drink and unlimited Wi-Fi. Guests can spread out and work, or relax on lounges, café tables or benches and can also host up to two guests in the Club Lounge on weekdays 9.00pm – 4.00pm during their stay – providing a convenient place to meet with clients or colleagues. The façade of the hotel has also been completely renovated along with a refreshment of decore and alfresco area in the hotel’s popular Oak Bar & Grill, as well as the addition of a Tesla charging station. Alpha Eastern Creek is now the largest hotel in the area West of Parramatta through to Penrith with extensive facilities including; an indoor heated lap pool and gym, Oak Bar & Grill with alfresco dining, new Club Lounge, 3 meeting rooms for up to 120 delegates and a shuttle bus to local business parks and attractions. 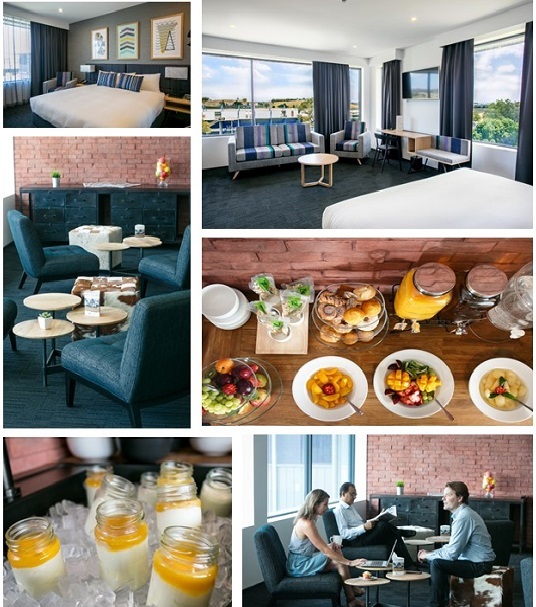 We are delighted to announce Alpha Hotel Eastern Creek has now opened its brand new Club Level, designed for guests who want to enjoy the existing breadth of hotels existing facilities and services with a superior level of accommodation and a business lounge with a social-side. Whether it’s getting the best sleep ever in the stylish new hotel rooms, relaxing with a glass of wine at the end of a long day in the Club Lounge, or making your own barista coffee on a whim, we aim to make your stay even better. The Club Level, on the very top of the hotel, also provides guests with sweeping views out to the Blue Mountains and over the action-packed Sydney Motorsport Park…not to mention sensational sunsets! BOOK or UPGRADE to the Club Level when you stay. Alpha Hotels & Resorts are joining the Tekno Autosports team in celebrating the breathtaking 2016 Supercheap Auto Bathurst 1000 win on Sunday. Alpha Hotels & Resorts have been a sponsor of the Tekno team for a number of years and were ecstatic to see Will Davison and his co-driver Jonathan Webb win in what was a truly thrilling finish. “This is just phenomenal,’’ Davison said. 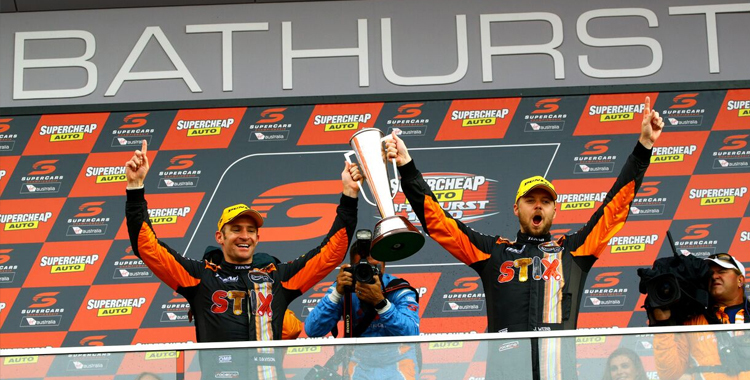 Davison’s win will go down in Mount Panorama folklore after the 2009 winner ran out of fuel while crossing the line to win the race by the narrowest margin in competitive history. In a breathtaking finale to the race, Jamie Whincup was controversially stripped of a certain win for his role in a crash that crushed Garth Tander and Scott McLaughlin’s Bathurst dream. 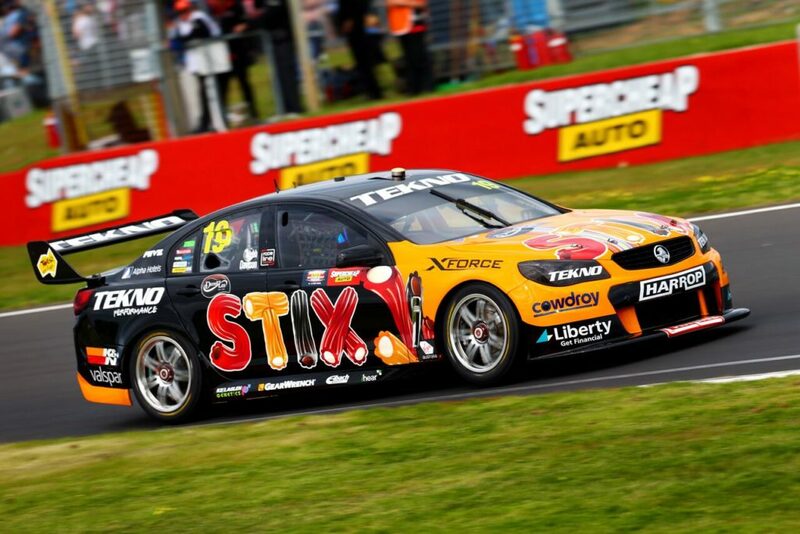 Davison then held off the fast finishing Shane Van Gisbergen to land the shock win. Alpha Hotels & Resort, Australia’s newest privately-owned hotel group, has partnered with international hospitality technology provider Travel Tripper to increase direct bookings, optimise conversions, and maximise revenue across its hotels. Travel Tripper’s innovative internet booking engine, RezTrip, is designed to enable guests to directly book rooms faster and more efficiently on desktop and mobile. This includes such consumer features as large imagery, well-designed booking flow, and easy checkout, as well as revenue management features including dynamic pricing and special offer creation. Adapt Marketing, Alpha Hotel’s marketing house, played an integral role in the selection and implementation of RezTrip across its hotels. As a specialists in providing clients with hotel marketing solutions at the forefront of the industry, they saw the move as an opportunity for Alpha to improve the way it interacts with customers. “RezTrip gives Alpha Hotels an edge on the competition by enabling functionality that is similar to what OTA’s use to capture reservations through fast booking and a creating a sense of urgency for guests, while being seamlessly connected to existing technology platforms”, she added. 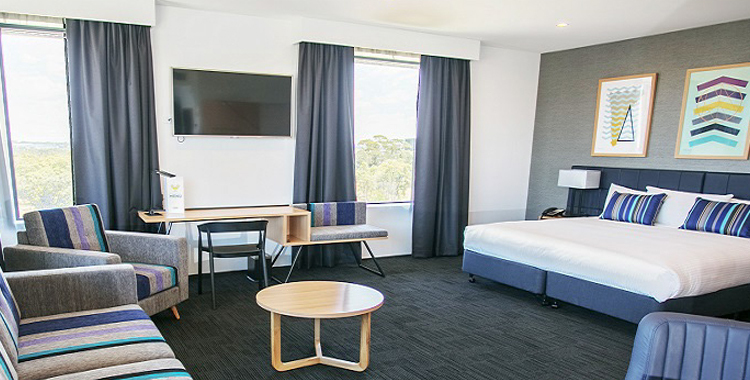 Alpha Hotels has plans to expand its current portfolio of hotels in Brisbane, Surfers Paradise, Eastern Creek and Canberra in the coming year, and will also add to its room count at Eastern Creek which is currently undergoing a refurbishment with an additional 60 rooms and a club floor. 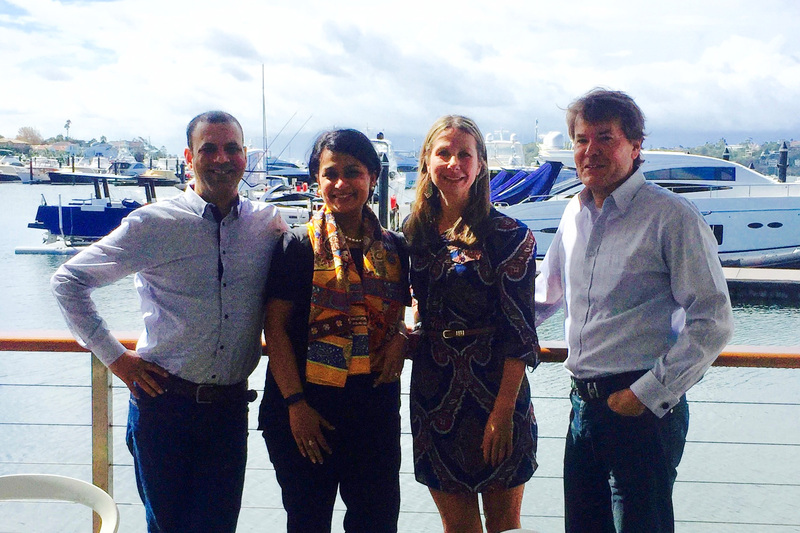 Travel Tripper’s RezTrip was also favoured by Alpha Hotels as a partner that would support its future growth plans. Among other benefits for groups, RezTrip offers a hotel group booking portal for guests to search reservations across any number of hotels, grouped by location, amenities and various other criteria. Alpha Mosaic Hotel Brisbane is excited to announce that guests can now book stunning new one bedroom apartments when they stay in its leading, boutique property in Fortitude Valley. Operated and managed by Alpha Hotels & Resorts, the fully self-contained one bedroom apartments provide exceptionally designed executive accommodation for stays of 7 nights or more. Alpha Mosaic Hotel’s One Bedroom Apartments provide exceptionally designed executive accommodation for single guests or couples looking for the convenience of a self-contained apartment in Brisbane with the services of a 4.5 star boutique hotel. Guests of Alpha Mosaic’s apartments can enjoy the space and style of apartment living, along with an array of facilities at the hotel including Mosaic Bistro & Bar, room service and daily or weekly room servicing. For relocations, projects or for extended business or leisure travel requirements, guests will be impressed with new range of apartments on offer. All One Bedroom Apartments have a fully equipped, open plan kitchen with Bosch stainless steel appliances, dining table and chair or high bench seating, and a free-flowing living area. Add to that the convenience of a study nook so you can keep work and ‘relax time’ separate as well as your very own undercover secure car park for only $70 per week. 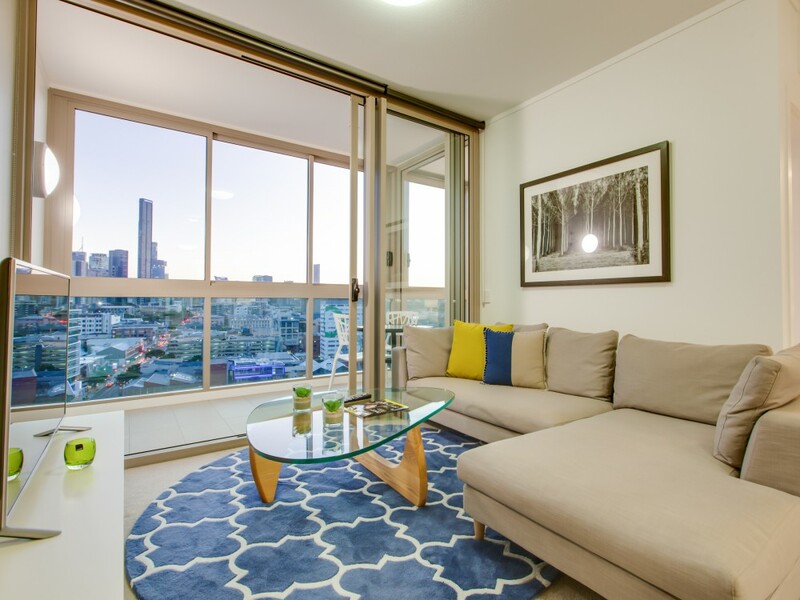 To make the most of spectacular Brisbane skyline views, guests can upgrade to a One Bedroom City View Apartment, with a south-facing aspect looking out to the CBD. These apartments also feature an adjoining alfresco balcony so you can soak up the warm year-round climate, and enjoy the outlook over the city from the 13th floor. There are a range of slightly different floor plans available on request directly to the hotel on +61 7 3332 8888 or you can email the hotel: res.mos@alphahotels.com.au. Otherwise, visit at www.alphamosaichotelbrisbane.com.au to check availability and rates for the best apartment available. Since opening Alpha Canberra Hotel & Apartments in 2014, which was closely followed by three other hotels in NSW and QLD, Alpha Hotels & Resorts has adopted low-carbon workforce practices to provide energy savings, lower costs and improve overall business performance. The Managing Partners of the newest Australian-owned hotel group, saw an opportunity to build a hotel brand and network of efficient, mid-upscale hotels and apartments with an eco-friendly virtual corporate office. 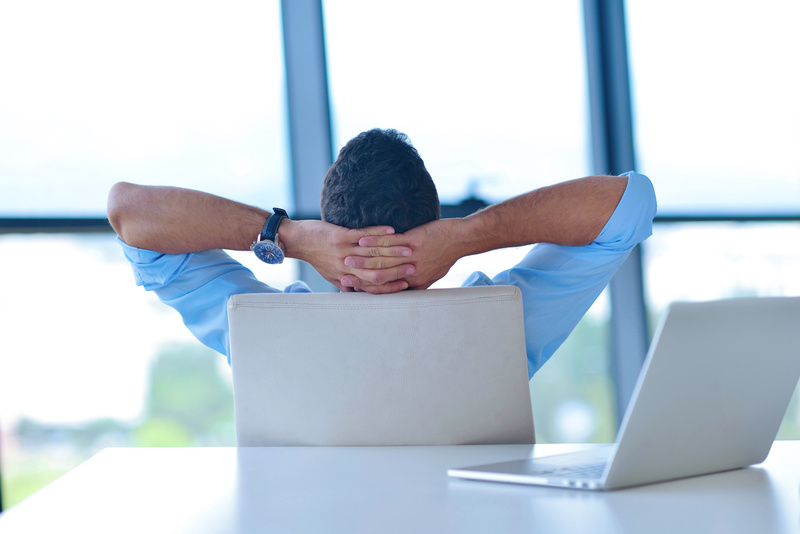 Traditionally, operators of hotel groups set up either a corporate office or provide work space for the team that support the hotel network from a nominated hotel. Both of these structures require commuting to work, add to overhead costs and consume more energy through use of office equipment. Instead, Alpha Hotels & Resorts recognised the benefits of engaging a virtual team of largely home-based sales, marketing and IT experts to launch its brand, and to provide ongoing operational support to a pipeline of hotels. This structure means their specialised management team work in the most part remotely, immediately reducing their own carbon footprint – and by extension the carbon footprint of their contractors. Julie McKinnon, Director of Adapt Marketing, offers home-based outsourced marketing expertise and services to all four Alpha Hotels & Resorts, and says, “Marketing strategies for hotels are focused on driving revenue through direct and other digital channels, which can be supported 100% remotely”. “Working virtually with hotel teams on marketing activities allows them to spend more time where it matters most – looking after their customers”. Alpha Hotels & Resorts has opened its fourth and largest hotel so far, with the rebranding of the 180 room Australis Sovereign Hotel. The twin tower property, located on Ferny Avenue on the north side of Surfers Paradise, opened as Alpha Sovereign Hotel Gold Coast on 4 December 2015. An extensive refurbishment of the hotel has taken place this year, with further rejuvenation of its range of accommodation options for couples and families planned in 2016. The property boasts well-designed leisure facilities with a large heated pool and spa, BBQ area, alfresco restaurant and bar, free unlimited WiFi, gym, games room and valet parking. Jonathan Wooller, Founder and Managing Partner of Alpha Hotels & Resorts said, “The Gold Coast property is an important addition to the Alpha network, as our first hotel in such a popular and thriving holiday and leisure destination. To celebrate the opening, Alpha Sovereign Hotel is offering 30% off for stays of two nights or more from 1 February – 30 June 2016. This opening special is available for the next 7 days for bookings made on www.alphasovereignhotel.com.au. Valid until 15December 2015. Some block-out dates apply. Alpha Sovereign Hotel is situated just few blocks away from the buzzing heart of Surfers Paradise and only 5 minutes walk to long stretches of golden beaches. Gold Coast theme parks are nearby or accessible via the Theme Park Express, with some of the area’s best shopping connected via the G:link Light Rail, so guests can commute quickly to Broadbeach, Centro Surfers Paradise, Chevron Renaissance and Pacific fair. 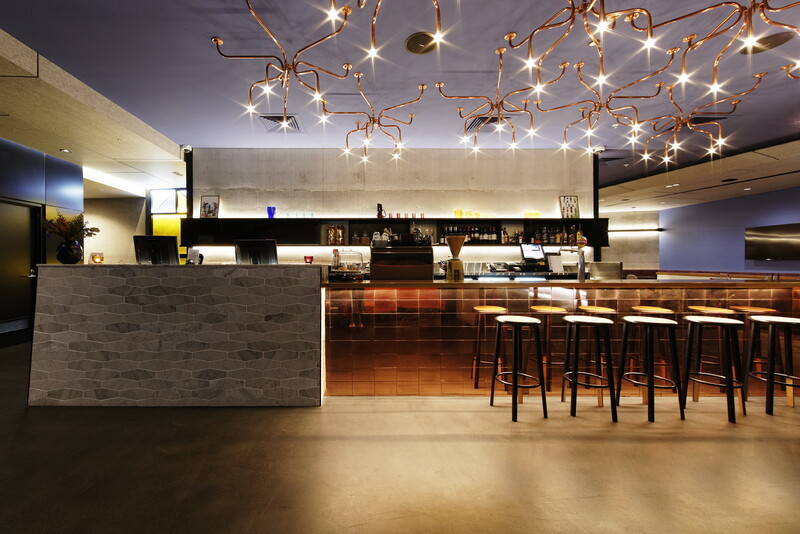 Last year, Alpha Hotels & Resorts opened Alpha Mosaic Hotel Brisbane, where it owns and operates the hotel and the management letting rights for the 213 residential apartments. 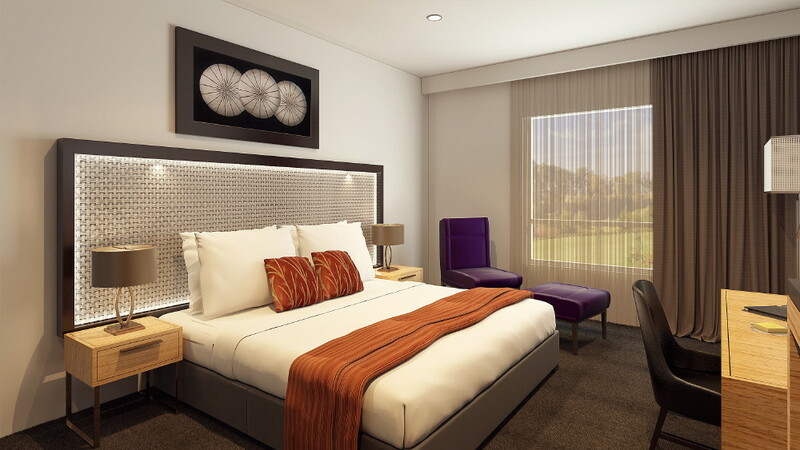 The group also owns and operates Alpha Canberra Hotel & Apartments and Alpha Eastern Creek, which is currently undergoing a refurbishment with an additional 60 rooms and a club floor to accommodate growing demand corporate accommodation in the area. There’s no better time for a short break than summer! Alpha Hotel & Resorts have three fantastic hotels to choose from in Brisbane, Canberra and Western Sydney (Eastern Creek) with great deals to enjoy from 14 December 2015 – 31 January 2016 – see conditions. BOOK between 25 November – 2 December 2015 and Receive 20% off a range of Summer Packages. Alpha Hotels & Resorts will invest $10 million to redevelop Alpha Eastern Creek to capitalise on market growth, with 60 new accommodation rooms and a club floor to be complete by April 2016. Alpha Hotel Eastern Creek boasts a prime position directly opposite Sydney Motorsport Park, within one of Western Sydney’s fastest growing Corporate and Industrial Estates. The hotel will be transformed to meet increased demand for full-service hotels in the area with market growth fuelled by NSW Government infrastructure projects proposed for the Broader Western Sydney Area. Construction has commenced on the addition of 60 new rooms, creating an entirely new floor on top of the existing premise increasing the room count to 162. By completion in April 2016 it will be the largest hotel in the area. Jonathan Wooller, Founder and Managing Partner of Alpha Hotels & Resorts said, “With uninterrupted views over Sydney Motorsport Park, and surrounding areas, the Alpha Club floor will have 60 additional guest rooms and social areas that will incorporate contemporary interior design, the latest technology, entertainment and amenities for the fast-paced, style-conscious traveller”. “Both the Alpha Club floor and the exceptional dining experience offered at Oak Bar & Grill, will distinguish Alpha Hotel Eastern Creek as the World-class hotel provider in the heart of Sydney’s growth corridor’, he added. Alpha Eastern Creek also opened its new dining destination restaurant last year after a major up-market revamp of its popular bistro-style dining space. “Oak Bar & Grill” is located within the hotel but in its own unique space. Hotel guests, visitors to the area and businesses can enjoy Oak’s chic but chilled out atmosphere with indoor and alfresco dining. In the past few years, the airport end of Fortitude Valley has become a precinct of hipster hotels. Some are hanging their hat on trendy restaurants and rooftop bars, but Alpha Mosaic has taken a more traditional route, focusing on quality and harnessing a slightly more sophisticated edge. In June, it is celebrating 12 months of open doors. It hasn’t positioned itself as a go-to nightspot, which probably means it’s not bathing in the same word-of-mouth glory as its neighbours. But those who’ve found it couldn’t be happier.